As a music lover myself, I know that finding the best gift to wrap this holiday season is quite as challenging as mastering a piece of music. The selection can range from accessories, books, cd’s, practice gears or equipment and a lot more. However, as hard as it can be, giving a gift that can make your friends and love ones happy is quite rewarding. If someone in your holiday shopping list is a violinist or an aspiring violin virtuoso, you’ve landed on the right page. Here, I have rounded up 10 must-have gift items, top-rated products, and best gifts for violinists that you can give this Christmas. A set of violin strings would, of course, make it on the list. Why? Because violinists, either students and professionals are supposed to change violin strings at least once every year. Some violin players decide not to do it because of the cost of the strings, but, annual replacement of violin strings is strongly recommended. Buying one set of string for your friend or your child who is on the journey of mastering the violin will definitely make you their Santa of the year! 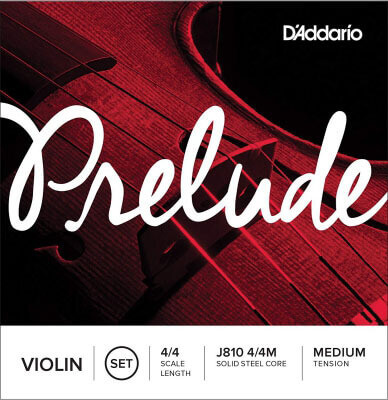 If you don’t have any idea on what brand or type of violin string to get, we recommend the D’Addario Prelude violin string set. 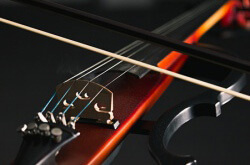 This brand is a world-renowned violin string which is manufactured using a solid steel core. These violin strings are recommended by many violin instructors due to the warm tones it creates and the consistency that it offers for the bow because they are not easily affected by heat or humidity. With these strings’ durability, it can last a year of playing, and it sure will remind whomever you give it to, that it is one of the best gifts they can ever receive for Christmas. Almost every instrument needs tuning. And, the violin is not an exemption. With that, one cool gift that you can order in the market is a tuner. It will surely be a perfect gift for beginner violinists to make sure that their violin will sound right every practice session. Tuners come in various sizes and shapes. If you aren’t familiar with tuners and you are interested in buying an affordable gift that is of high quality, we recommend the Korg TM-50. Yes, Korg is a known brand for musical instruments and accessories. 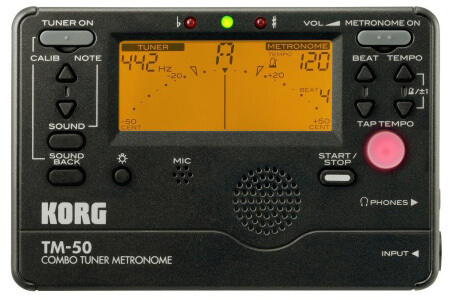 Their TM-50 tuner is a product with dual function, aside from a tuner, this model also works as a metronome. It is designed with a medium-sized responsive LCD that shows a needle-type meter. 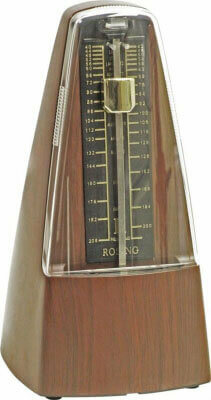 With a tuner and a metronome combined as a one gift item, you are hitting two birds with one stone! It will surely make any violinist happy and on the beat. If this is the first time that you hear this word, don’t worry. A violin rosin is just a solid form of resin obtained from plants and pines, which is produced by heating a liquid resin to vaporize its components. A violin rosin is extremely important because violin bows won’t produce a beautiful sound without rosin. 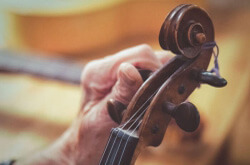 The rosin that violinists apply on bow hairs provides friction between the bow hair and the strings that allows a violin to produce sounds when the bow is played across the violin strings. 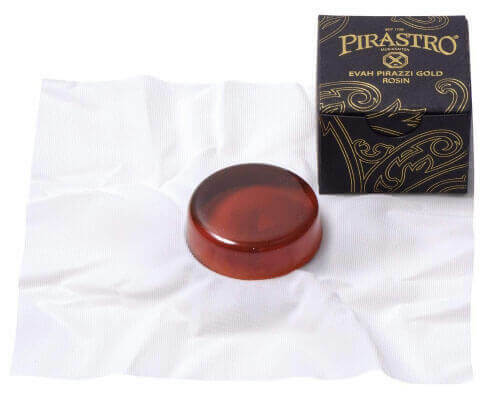 One of the best-selling rosin online and in stores is the budget-friendly rosin called – Pirastro Evah Pirazzi Gold Rosin. Pirastro violin rosin brings out the powerful sound and excellent bow response of violin strings. If you plan on getting this inexpensive item as a gift for your violinist friend, expect that he or she will surely stick with you closer than a brother forever. The finger position indicator is a cheap gift idea for beginner violinists but extremely beneficial during the early stages of learning. A finger position guide sticker is made up of a clear vinyl sticker that is easy to place on. Fretless Finger Guide is the most popular violin finger position guide sticker for students. It comes in various sizes such as full size (for 4/4 violins), 3/4, and half (1/2) sizes. It goes right into the fingerboard and shows natural note positioning including sharps and flats that make left finger positioning easy and fun. You are probably wondering why you should buy a practice mute for violinists. Buying one won’t make them feel offended because giving one doesn’t necessarily mean that you don’t want to hear them squeak or make a noise while playing. A practice mute is just a handy and useful accessory. 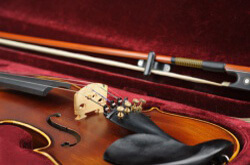 It is used when a violinist needs the violin to sound quieter. 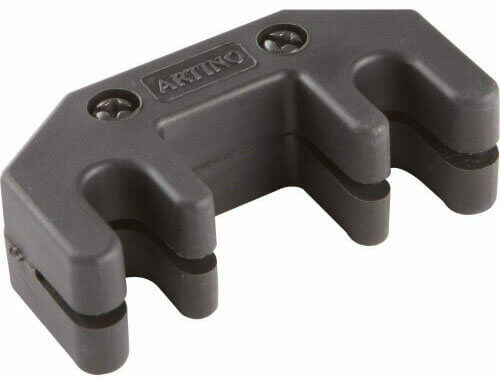 Artino Practice Mute (picture above) is one of the best-selling mutes for both professionals and beginner violinists. As I have previously stated, a practice mute is used for dampening some parts of the music, and not because the sound is irritating. In fact, many composers such as Prokofiev use violin mutes in his compositions. For example, string players have mutes applied at the beginning of the piece Overture to Romeo and Juliet. 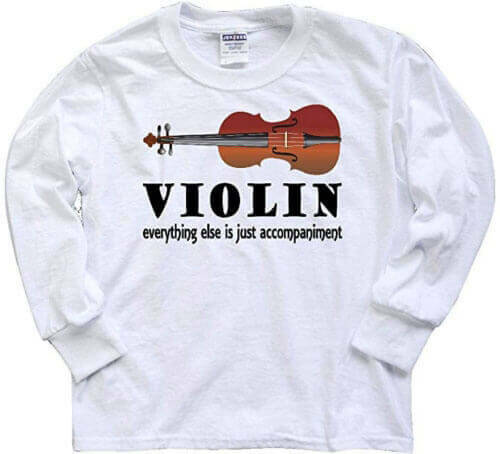 Violin t-shirts are perfect for those who want to wear a statement shirt that says they play the violin. 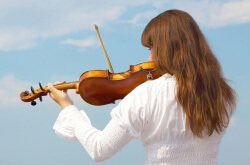 With the extremely challenging scales, bowing techniques, and tiring practice sessions, it is just normal to give them the right to show off that they play the violin! Get them one of these cool shirts and see them around wearing it in school or anywhere they go. Let them feel good that they are playing a cool instrument called the violin! Who doesn’t love a coffee mug? 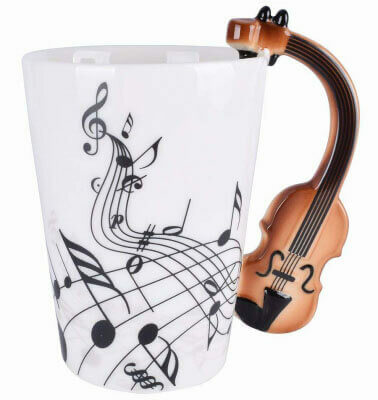 Coffee drinker or not, a funky violin-designed mug will make every violinist overjoyed! This ceramic violin cup is a practical gift idea that can also be of decorative purpose. It is indeed a perfect gift for violinists. You can give it as a present for any occasion such as birthdays or graduations, aside from the holidays or Christmas. It is practical and durable for everyday use. In this world of high-tech digital gadgets and downloadable metronome apps, classical music violinists will be delighted to have an old-fashioned type of metronome. They will surely love to experience an old-school version of playing the violin along with the beat of a pendulum swinging back and forth, left and right. Soundlab Mechanical Metronome is one of the best-selling windup metronomes that is available in a traditional teak-wood design. The product features a precisely weighed pendulum with various bpm settings from 40 bpm to 208 bpm and 4-time settings to match every note you play for different musical pieces. 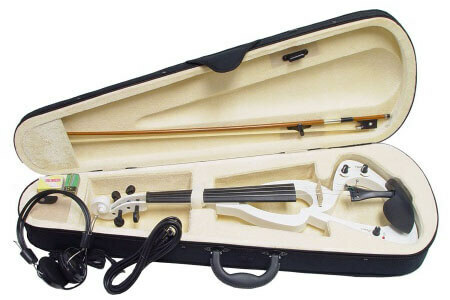 Almost every violin sold in the market comes with a complete kit including a bow and a violin case. 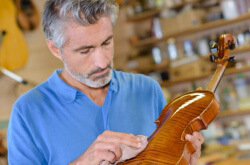 However, with constant use, even a sturdy violin case can get broken or torn apart due to the process of wear-and-tear. 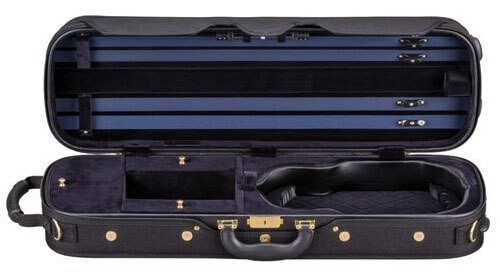 There is no greater gift for violinist than giving them a high-quality case that will keep their beloved violin safe. It might be a little bit pricey, but money can’t buy a violinist’s smile upon opening that gift! No violinist ever said that he or she doesn’t wanna try an electric violin. Besides, playing in a rock band or a rock orchestra sounds fun with an electric violin! If you are looking to bring your gift-giving to a whole new level, why not buy an electric violin? Unlike what most people say, some beginner electric violin kits are affordable. They come with complete accessories, fittings, and everything they’ll need. The holidays are upon us and it’s time to stand out from the crowd. If you are looking for a perfect gift for a violinist friend or relative, consider getting one (or more) of the items listed above. Have fun shopping and enjoy the holidays!